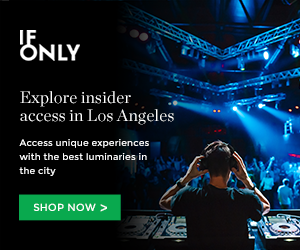 Los Angeles is one of the best cities for a summer vacation, especially for music lovers. Robust with a variety of free shows and summer concert series, L.A. is thee summer travel destination for music. Sure, a lot of concerts and music festivals can come with a hefty price tag, but summers in Los Angeles are all about the free music. And these free shows aren’t just tribute bands and bar bands, they’re live performances from some of the best acts out there. Whether across the globe or emerging bands from our great city of Angels, this year’s free Los Angeles summer concerts season is looking spectacular. Dance, chill, bob your head to acs such as Nas, Psychedelic Furs, Diane Coffee, M.A.K.U. Sound system, Peanut Butter Wolf, and more. Check out Grimy Goods’ top 5 free Los Angeles summer concert series below. We’ve also noted some worthy honorable mentions. Who: Psychedelic Furs, Unknown Mortal Orchestra, Mayer Hawthorne, Børns, and more. Why: Ambiance, ambiance, ambiance! Who doesn’t love seeing incredible bands while overlooking the beautiful blue pacific?! Hands down, our favorite Los Angeles free summer concerts series. Why: Presented by KCRW, there’s lot of big name headliners at this year’s Sound in Focus. When else can you see Edward Sharpe and Nas for free? Who: Moses Sumney, Kevin Morby, Diane Coffee, The Garden/The Muffs and more. Why: From budding local Los Angeles acts such as Mose Sumney to 90s Nostalgia with The Muffs, Saturday’s Off the 405 always bring variety and a damn good time in a beautiful setting. Oh, and we LOVE Diane Coffee. Why: Known for its beautiful hillside location, the Skirball is also a win win because of its selections of live music that span the globe. From indie to West African desert blues, the Skirball’s going off! 5. Disappear Here: Music Made in L.A.
Who: Poolside, Peanut Butter Wolf, Ceci Bastida, TOKiMONSTA and more. Why: It looks like the Hammer wants you to dance this year. Presented by KCRW, and with performances by the Stones Throw crew, TOKiMONSTA and Ceci, get ready to burn those calories from happy hour. For all the best concerts and music festival happening in Los Angeles, be sure to check out Grimy Goods’ Best Concerts of the Month and weekly show calendars. This entry was posted in Featured Stories, Features, Free Summer Concerts and tagged hammer museum, kcrw, santa monica pier, skirball cutlural center, Twilight Concert on June 17, 2016 by Sandra Burciaga Olinger.